Description: Hard drawn bare copper welded to a solid steel core. 40% conductivity. Hard Drawn; will not stretch. Used for hi-tensile strength requirements such as short wave and transmitting aerials. Constructions have low R.F. 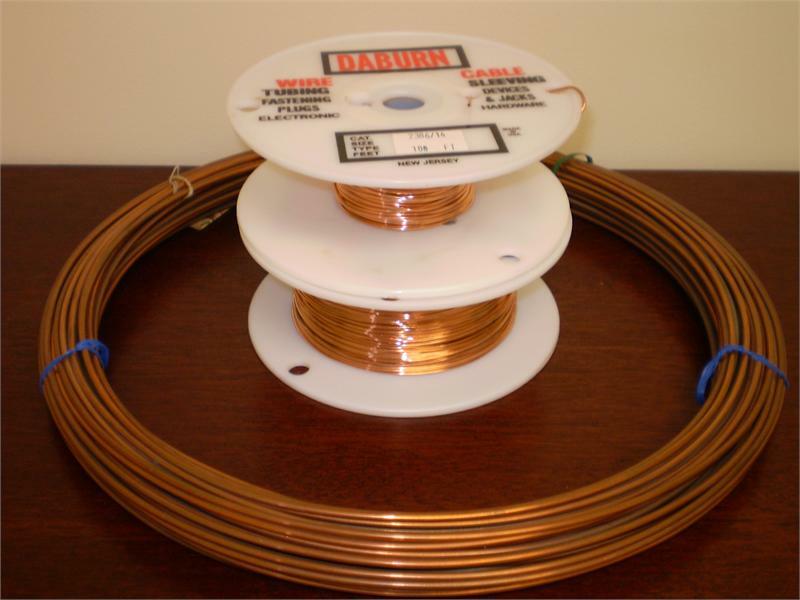 resistance and ideal for doublet and directional antennas. Constructions maintain frequency characteristics because of their stretch qualities. Solid Pure Electrolytic copper, Annealed and tinned for quick soldering. Solid Soft Drawn QQ-W-343 Type S, ASTM-B-33 Specifications. Single conductor soft drawn annealed copper tinned per Spec, QQ-W-343 Type S, ASTM-B-33 (per MIL-W-583C SPEC. & J-W-1177).